Spring Equinox on the land! Hello friends and happy Spring Equinox! The prospect of spring has us all giddy, although we’re currently looking out the window at a beautiful snow covered landscape. We are grateful for this heavy influx of snow and all that it will replenish as it melts down the mountain, filling up ponds and quickening mountain springs all around us. We are truly blessed here in Pocahontas County, with an immense amount of pristine water, so long as we can keep out the extraction industries. West Virginians have been fighting against these industries or falling victim to them for over a hundred years. We desperately need a new industry to give our people clean, safe and reliable jobs if we are ever going to get away from a coal centered economy. There are quite a few folks here in West Virginia that are planning to do just that by growing one of the most resilient and sustainable crops around– Hemp! Industrial hemp is legal to grow in many states here in the US and is becoming an increasingly popular and profitable business venture for many folks. Ironically, hemp can be grown on polluted sites in order to remediate the soil and replenish the natural landscape back to its former glory. To us, this is a win-win! 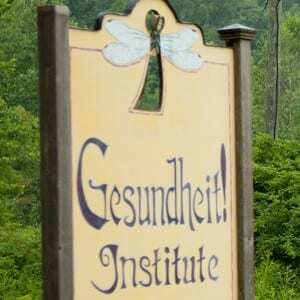 All that being said we are thrilled to announce that we will be growing hemp at Gesundheit Institute this year! We were granted a permit through the WV Department of Agriculture under the researching and marketing cultivation of industrial hemp license for 2018. We will be growing CBD varieties of hemp that will be extracted into potent medicine that will benefit folks with a wide variety of ailments. From epileptic seizures to chronic pain to shrinking cancerous tumors, CBD oil can be a highly beneficial alternative to pharmaceutical drugs, or can be used alongside pharmaceuticals and can work synergistic with conventional cancer treatments! 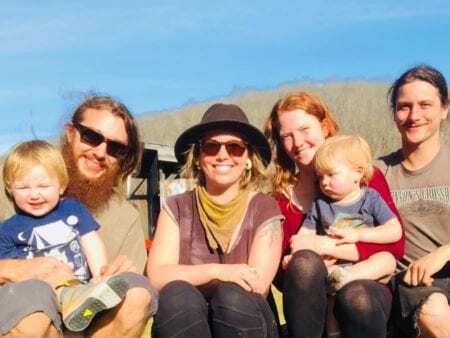 Our hemp dream began last summer at Gesundheit’s annual board meeting when Adam, one of the land managers at Gesundheit, told Patch about his interest in hemp and how he wanted to get involved in the hemp movement, a revolution of sorts. We thought it could be a great opportunity for the Gesundheit land to help become more financially self-sustaining. Everyone agreed, and Patch noted that as fate would have it one of our biggest donors happened to be a fellow named Bruce Perlowin. Bruce is the CEO of Hemp, Inc. and owner of the biggest hemp processing facility in the USA. In years past Bruce has donated a generous amount that was used to further construction on the Teaching Center. Bruce and the folks at Hemp, Inc. have decided to help us once again by donating high CBD hemp clones to get our project off the ground. Sourcing high quality CBD seeds and clones can often be a considerable financial strain one can incur in the early stages of such a project. We are immensely grateful for the support from Bruce and those at Hemp, Inc. Their support along and Adam’s recent full-size tractor purchase and admittance into the West Virginia Farmers Coop has made it possible to successfully start our project this growing season, however, we are still a little short. Gesundheit has been home to many beautiful and abundant gardens, however this project is much larger in scale, and being so we will need to update our infrastructure accordingly. It is important to us to source the most sustainable and cost effective implements we can, so that these will be long-lasting improvements and updates for the land. Adam spent a considerable amount of time designing a proper irrigation system that we will be purchasing from a local company in Virginia. In order to make these necessary improvements we have launched a GoFundMe campaign to help crowd-fund the remaining start-up costs. We launched our campaign twenty-five days ago and have already raised $4,855 of our $11,000 goal! We can’t even put into words how grateful we are for all of this support, most of which has come from our local friends and family. So we would like to extend our reach and give the worldwide Gesundheit family a chance to support this incredible project. Head on over to www.Gofundme.com/GesundheitHempProject to read more about our project and to see a specific break down of costs. We’re relatively new to crowdfunding but we have learned quickly that no amount is too small and sharing our project with your friends and asking them to do the same is just as important as the donations themselves. Please show us some love and share this project with your friends, families, and co-workers! We appreciate YOU!